Young Researchers and Elite Club, Omidiyeh Branch, Islamic Azad University, Omidiyeh, Iran. National Iranian South Oil Company (NISOC), Ahvaz, Iran. One of the most important properties of reservoir fluids is bubble point pressure which helps the reservoir engineer to estimate reservoir oil in place, inflow performance and to design wellhead equipment. In this study, 65 tested data, related to 10 wells located in the one Southwest fields in Iran have been used which data in this field for 0API<=30 and 0API>30 includes: 1) oil formation volume factor (1.2-1.6) and (1.3-1.58) bbl/STB, 2) oil sample temperature (110-150) and (130-170)0F, 3) stock tank oil gravity (14.47-26.20) and (32.19-71.09)0API, 4) solution gas-oil ratio (707-1146) and (654-1066) SCF/STB, 5) gas specific gravity (0.898-1.085) and (0.881-1.187) and 6) bubble point pressure (2962-4196) and (2078-4149) psi. According to the different 0API range and to researchers carried out on this field, it has been determined that out a model for data range with 0API>30 and one estimating the model for 0API<=30 is required. These equations respectively are applicable for crude oil of 0API ranging betweenThe results have shown that for the equation with range of 0API>30 the minimum error is 0.009 and maximum error is 0.28 and for the equation with range of 0API<=30 the minimum error is 0.0082 and maximum error is 0.25 which it shows the high accuracy of the equation proposed in this study than other researchers. Abdul-Majeed, G.H.A., Salman, N.H., 1988.: “An empirical correlation for FVF prediction.” J. Can. Petrol. Technol. 27, 118e122. Al-Fattah, S.M., Al-Marhoun, M.A., 1994.: “Evaluation of empirical correlations for bubble point oil formation volume” J. Petrol. Sci. Eng. 11, 341e350. Almehaideb, R.A., 1997.: “Improved PVT correlations for UAE crude oils.” Paper SPE 37691 presented at the SPE Middle East Oil Show, Manama, Bahrain, 15e18 March 1997. Al-Marhoun, M.A., 1988.: “PVT correlations for middle east crude oils.” J. Petrol. Tech. 40, 650e666. Al-Marhoun, M.A., 1992.: “New correlation for formation volume factor of oil and gas mixtures.” J. Can. Petrol. Technol. 31, 22e26. Al-Shammai, A.A., 2001.: “A review of bubble point pressure and oil formation volume factor correlations.” SPE Reserv. Eval. Eng. 4, 146e160. Brill, J, P. and Beggs, H. D.: “Two-phase Flow in Pipes.” Sixth Edition The University of Tulsa (1991). Bolonderzadeh, A. and et al: “The New PVT Generated Correlations of Iranian Oil Properties”, paper SPE 28904 presented at the 1994 SPE Student Conference, 2006. Dake, L. P. (1998). : “Fundamental of reservoir engineering (17th ed. ).” Amsterdam, the Netherlands: Elsevier Science. Danesh, A., 1998.: “PVT and Phase Behaviour of Petroleum Reservoir Fluids.” Elsevier. De Ghetto, Giambattista, and Villa, Marco: “Reliability Analysis on PVT Correlations,” paper SPE 28904 presented at the 1994 SPE European Petroleum Conference, London, 25-27 October. Dindoruk B. Peter G. Christman, “PVT Properties and Viscosity Correlations for Gulf of Mexico Oils”, paper SPE 71633 presented at 2001 SPE Annual Technical Conference and Exhibition, New Orleans, Louisiana, 30 September- 3 October. Dokla, M., Osman, M., 1992.: “Correlation of PVT properties for UAE crudes.” SPE Form. Eval. 7, 41e46. Elsharkawy, A.M., Elgibaly, A.A., Alikhan, A.A., 1995.: “Assessment of the PVT correlations for predicting the properties of Kuwaiti crude oils.” J. Petrol. Sci. Eng. 13, 219e232. Farshad, F., LeBlanc, J.L., Garber, J.D., Osorio, J.G., 1996.: “Empirical PVT correlations for Colombian crude oils.” Paper SPE 36105 presented at the SPE Latin American and Caribbean Petroleum Engineering Conference, Port of Spain, Trinidad and Tobago, 23e26 April 1996. Gen, M., Cheng, R., 2000.: “Genetic Algorithms & Engineering Optimization.” AWiley-Interscience Publication, USA. Gharbi, R.B., Elsharkawy, A.M., 1997.: “Neural Network model for estimating the PVT properties of middle east crude oils.” Paper SPE 37695 presented at the SPE Middle East Oil Show, Manama, Bahrain, 15e18 March 1997. Ghetto, G.D., Paone, F., Villa, M., 1994.: “Reliability analysis on PVT correlations.” Paper SPE 28904 presented at the SPE European Petroleum Conference, London, U.K., 25e27 October 1994. Glass, O., 1980.: “Generalized pressure volume temperature” J. Petrol. Tech. 32, 785e795. Hanafy, H. H., Mary, S.M., Elnady, Y.M., Bayoumi, A.A., El-Balcony, M.H. 2005. “Application of empirical PVT correlations exemplify significance of developing regional correlations-a new approach. Offshore Mediterranean Conference and Exhibition”, Ravenna, Italy, 16e18 March 2005. Ikiensikimama, S, and Madu, J.: “New Bubble Point Pressure Empirical Pvt Correlation,” Paper SPE 128893 present at the 2009 SPE Technical Conference and Exhibition in Abuja, August 2-3. Hemmati, M.N., Kharrat, R., 2007.: “A Correlation Approach for prediction of crude oil PVT properties.” SPE Middle East Oil and Gas. Show and Conference, Kingdom of Bahrain, 11e14 March 2007. Kartoatmodjo, T., Schmidt, Z., 1994.: “Large data bank improves crude physical property correlations.” Oil Gas J. 92, 51e55. Katz, D.L., 1942. Prediction of Shrinkage of Crude Oils. Drilling & Production Practice, API, Dallas, pp. 137e147. Lasater, J.s. : “Bubble Point Pressure Correlation,” Trans., AIME (1958) 213, 379. Mary, S.M., El-Batanoney, M.H., 1992.: “Derivation of PVT Correlations for the Gulf of Suez Crude Oils.” Paper presented at the EGPC 11th Petroleum Exploration and Production Conference, Cairo, Egypt, 1992. McCain, W. D.: “Reservoir Fluid Property Correlations-State of the Art,” SPERE, (May 1991) 266. Mehran, F. and et al: “New Correlation for Estimation of Formation Volume Factor and Bubble Point Pressure for Iranian Oil Fields”, First Iranian Petroleum Engineering Conference, Tehran, 2006. Omar, M.I., Todd, A.C., 1993.: “Development of new modified black oil correlation for Malaysian crudes.” Paper SPE 25338 presented at the SPE Asia Pacific Oil and Gas Conference, Singapore, 8e10 February 1993. Petrosky, G., Farshad, F., 1993.: “PressureeVolumeeTemperature correlation for the Gulf of Mexico.” Paper SPE 26644 presented at the SPE Annual Technical Conference and Exhibition, Houston, 3e6 October 1993. Saleh, A.M., Mahgoub, I.S., Asaad, Y., 1987.: “Evaluation of empirically derived PVT properties for Egyptian oils.” Paper SPE 15721 presented at the SPE Middle East Oil Show, Manama, Bahrain, 7e10 March 1987. Standing, M.B. : “Oil-System Correlation,”Petroleum Production Handbook, T.C. Frick (ed), McGraw-Hill Book Co., New York City (1962) 2, Chap. 19. Standing, M.B., 1947.: “A Pressure Volume Temperature Correlation for Mixture of California Oils and Gases.” Drilling & Production Practice, API, Dallas, pp. 275e 287. Standing, M.B., 1952.: “Volumetric and Phase Behavior of Oil Field Hydrocarbon Systems.” Reinhold Publishing Corp., New York City. Vazquez, M, and Beggs, H.D: “Correlation for Fluid Physical Property Prediction,” JPT (June 1980) 968. Velarde, J., Blasingame, T. A., McCain, W. D., and Holditch, B. A. (1999). : “Correlation of black oil properties at a pressure below bubble point pressure”, A new approach. Petroleum Society of Canada, Annual Technical Meeting, Calgary, Canada, June 8–11. South-Kaman-Zadeh, A. and Dashtbozorg, A., 2016. Facile chemical synthesis of the nanosize structure of Sr 2 TiO 4 for degradation of toxic dyes from aqueous solution.Journal of Molecular Liquids, 223, pp.921-926. Roozbehani, B. and Dashtbozorg, A., 2016. Catalyst and Natural Gas Partial Oxidation.American Journal of Oil and Chemical Technologies: Volume, 4(4). Goosefish, M.A., Abadi, M., Abbasi, Z., Dashtbozorg, A., Rostami, M.E. and Ebadi, M., 2016. A hydrothermal method for synthesizing ZnFe2.Journal of Materials Science: Materials in Electronics, 27(8), pp.8654-8660. Jadidi, N., Roozbehani, B., & Saadat, A. (2014). Application of Organic Surfactants to Recover Hydrocarbons from Oil Sludges.Journal of Environmentally Friendly Processes: Volume, 2(5). Rahmandoost, E., Roozbehani, B. and Maddahi, M.H., 2014. Experimental Studies of CO2 Capturing from the Flue Gases.Iranian Journal of Oil & Gas Science and Technology, 3(4), pp.1-15. Motevasel, M., Roozbehani, B., and Shahi, A., 2014. Catalytic Degradation of Mixed Polymers into Environmental Friendly and Useful Products.American Journal of Oil and Chemical Technologies: Volume, 2(12). Dashtbozorg, A., Roozbehani, B. Kinetic Study of Catalytic Degradation of Mixed Waste Plastics into Gasoline and Diesel Product.Journal of Environmentally Friendly Processes, 2016.Volume, 4(2): p.14-28. 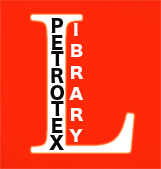 Petrotex Publication Group is now indexed in most of the world’s valid and precious databases and libraries. The journals are directly under supervision of U.S. Congress Library and publish related papers in chemical, energy, and environmental fields.